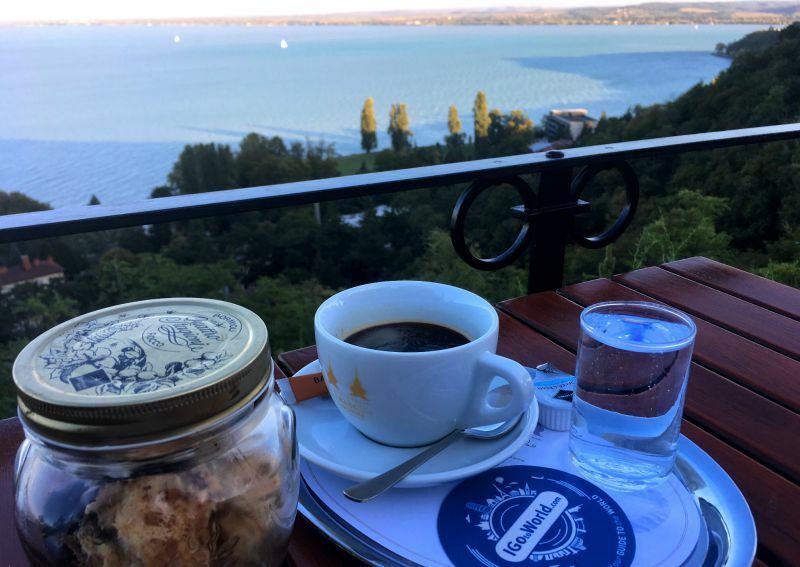 This article is about the best restaurants and cafés on Balaton. Where you can sit and have a cup of coffee, and where you can go for a tasting of Hungarian wine. What restaurants will impress you with a stunning panorama and where you can feed your soul, trying the local cuisine. We have traveled almost the entire coast of Lake Balaton and inspected its establishments: we want to share our recommendations. This is not really a coffee shop. 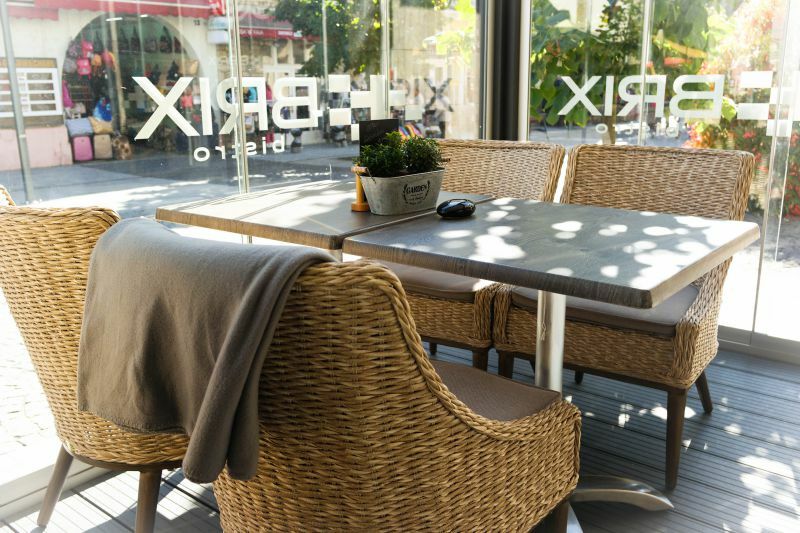 In fact, Brix Bistro is a trendy restaurant, where fun parties are held, and the dishes are notable for their creative presentation. 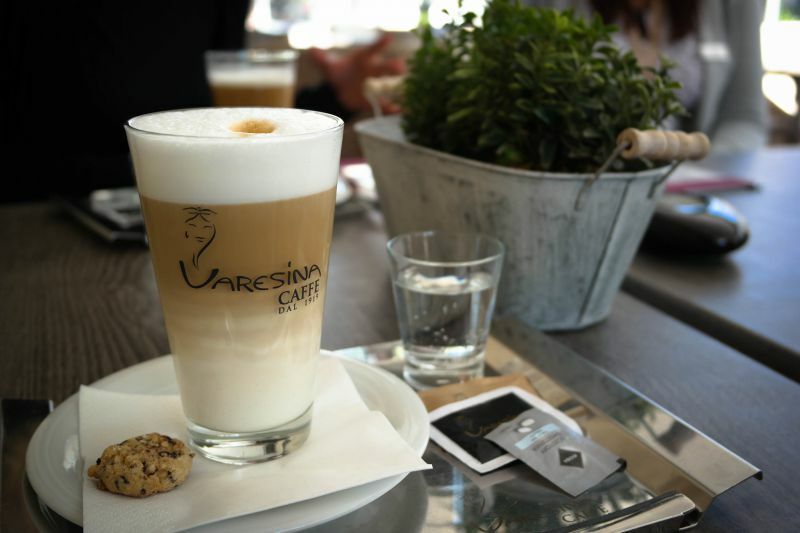 But if you are walking around Hévíz, you should also come here for a cup of coffee. You will still be in the center. And there is a great view of the city’s busiest street through the bright panoramic windows. dessert – 1000-1700 forints (approximately 3-5 euros). Address: Hévíz, Rákóczi st. 18 (this is the pedestrian street Rákóczi). Coordinates: 46.788861, 17.189170. If you have a sweet toothyou should not miss it! Macchiato Caffe is the best Hévíz coffee shop with delicious cakes, a large coffee card and ice cream! Prices: 600–800 forints (about 2–5 euros) for a cake. Address: Hévíz, Széchenyi st. 7. Coordinates: 46.790673, 17.190643. Do you want to have a tea party in the palace? Why not! In the Festetics Palace there is an amazing coffee shop, the “highlight” of which is a great number of old clocks! And many, many different cakes! Address: Keszthely, Kastély st. 1. Coordinates: 46.770659, 17.241576. Family coffee house Bergmann has been passed from father to son for over 50 years! You should definitely check it out to get acquainted with Hungarian traditional desserts. Address: Balatonfüred, Petőfi Sándor st. 64. Coordinates: 46.961171, 17.895247. What do you prefer: delicious food or a beautiful panorama from the restaurant window? We choose both options! 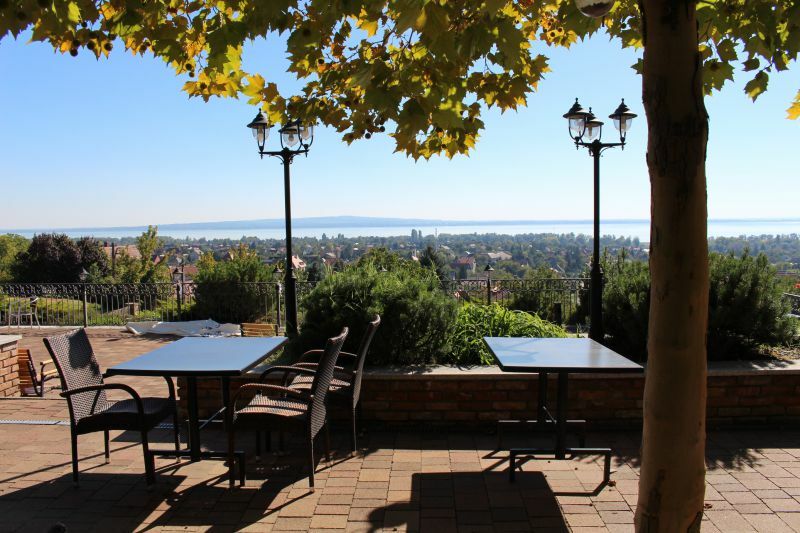 Further, only the best cafés and restaurants on Balaton with a panoramic view and delicious food. 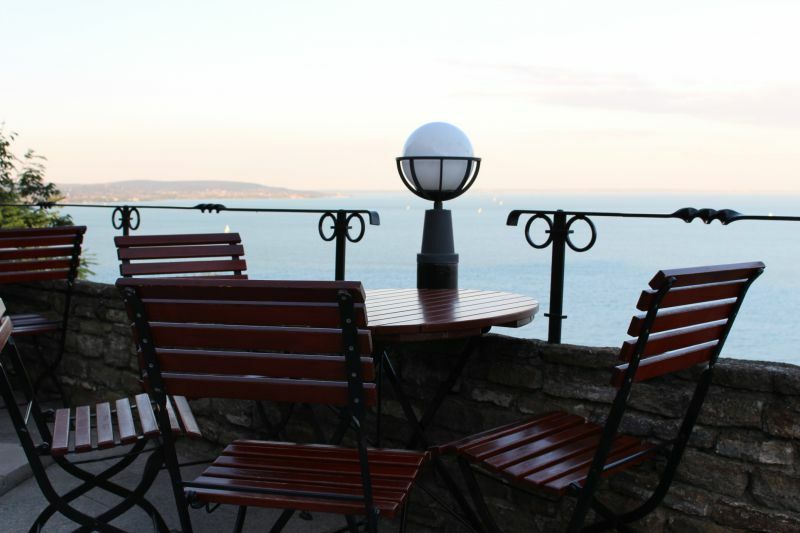 A breathtaking panorama of Balaton opens from the terraces of Bock Bisztró Balaton in the town of Vonyarcvashegy! You can sit on the terrace or enjoy the view from the panoramic windows. We were not original during the trip: we tried goulash soup (you cannot come to Hungary and not try it) and wild duck. Just look at this presentation! Prices: goulash – 1500 forints (about 4.5 euros), duck – 4000 forints (about 12.5 euros). Helikon Taverna is a mini-wine museum located in an old tavern of 1820, side by side with the Bock restaurant. 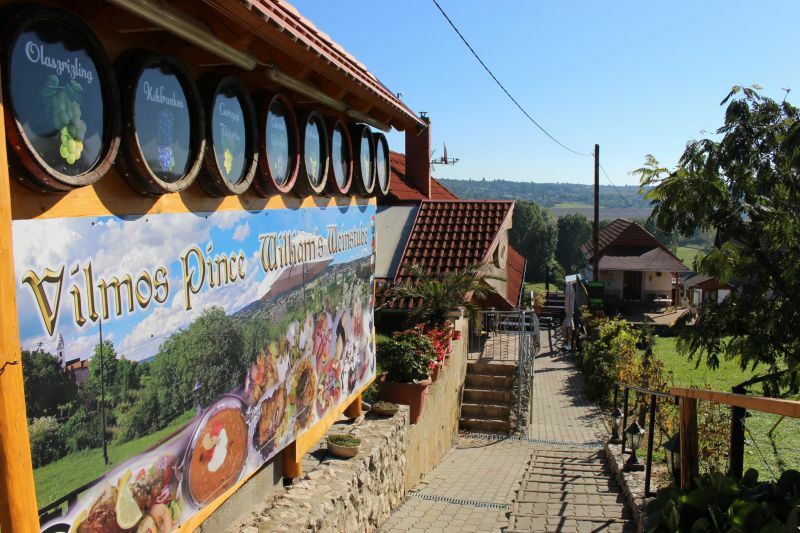 In addition to the exhibition, you will have the opportunity to learn more about the winemaking history of the region and to purchase local wine (the average price for a bottle is 2000 forints). Address: Vonyarcvashegy, Helikon st. 22. Coordinates: 46.767724, 17.308156. We wanted to include this place to the best coffee houses. But, it is more important to note the incredible panorama in Apátsági Rege Cukrászda. Just imagine: there is an endless horizon of the turquoise lake in front of you, with hundreds of white sailboats! And on the table – delicious desserts and main dishes. And from the terrace you can try to see the palace in which Brad Pitt and Angelina Jolie once lived. If you will not see it – it does not matter. It is so cozy to sit under a blanket, with a cup of coffee and a delicate Hungarian dessert! Be sure to try the local strudel and the Somlói Galuska. Dobos torte (cake) – 790 forints (about 2.4 euros). Address: Tihany, Kossuth Lajos st.22. Coordinates: 46.913324, 17.889745. By the way, we got to this café just after visiting one of the most interesting museums on Balaton, at the Benedictine Abbey. If we talk about the best restaurants on Balaton, it is impossible not to mention the local cuisine: fish soup, goulash, goulash soup, garlic cream soup, kürtőskalács, various fish... your eyes will get lost! But where is it the tastiest? The cozy restaurant Amazon, which is on your way, if you are visiting the magnificent Festetics Palace in Keszthely. You will have the opportunity to try the local food. We have chosen garlic cream soup and fish cooked in the oven. The dishes were delicious, especially a big piece of juicy fish: it was gone in a matter of minutes. We liked the presentation and the most delicate potato sticks, which melted in the mouth even faster than a fish. 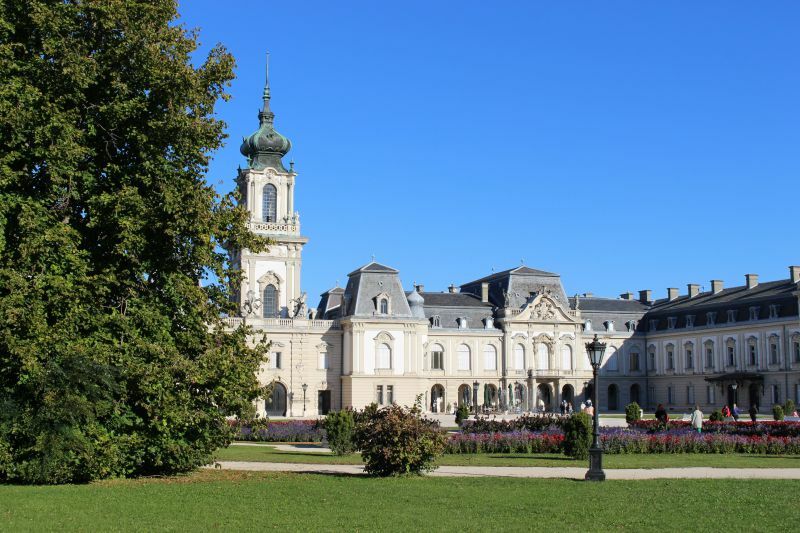 By the way, Amazon is located in a historic building and today there is not only a restaurant here, but also a mini-museum, and it is located on one of the most beautiful streets of the town of Keszthely – Kastely. There are also many other restaurants and cafés. It is a pedestrian street. Prices: main course – about 2000 forints (approximately 7 euros). Address: Keszthely, Kastely st. 11. Coordinates: 46.768781, 17.242248. This is the place that our Hungarian friends recommended as the best fish restaurant on Balaton. No, this is not a gourmet restaurant. A small roadside café Aszófői Halsütő with benches on the street and self-catering. But there is always a queue! They roast, steam, boil – all of it. 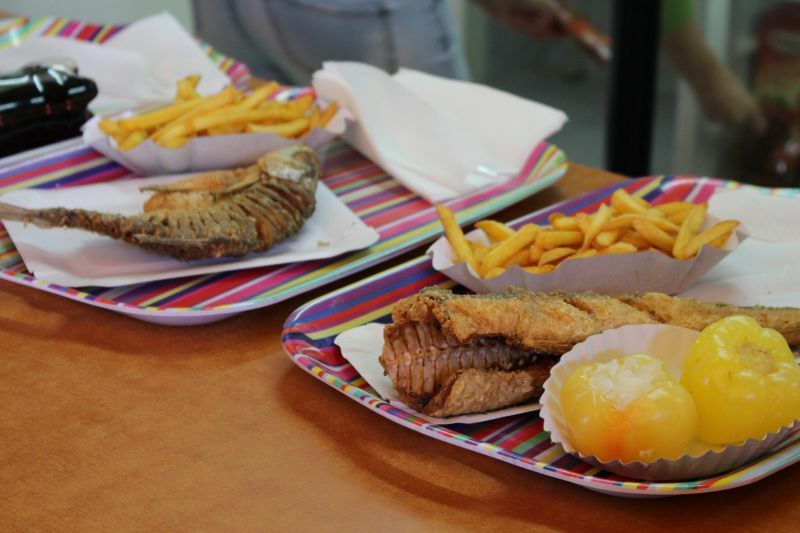 There is a large selection of fried fish here: pike perch, bream, carp, catfish, hake and other species. As a side dish you can take french fries, and for the first course – fish soup known throughout the region. And also pickled pepper stuffed with sauerkraut. Have you heard about this? Prices: fish soup – 1000 forints (about 3 euros). The cost of fish depends on weight. 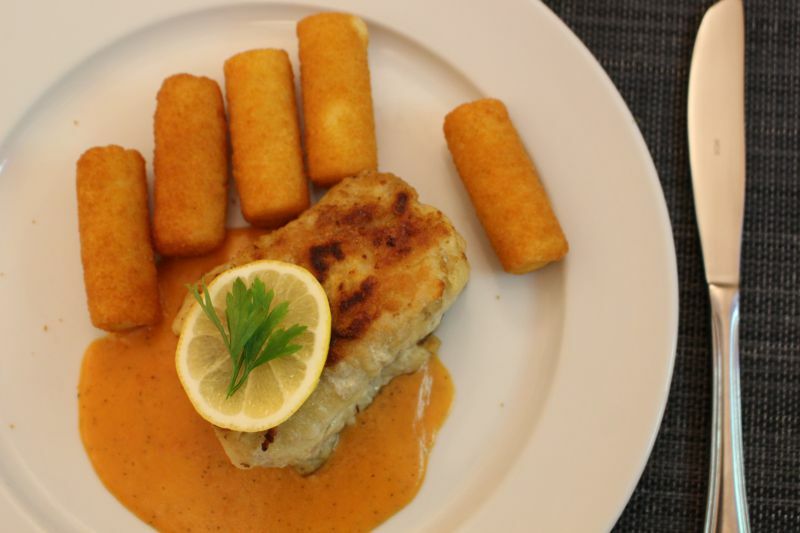 The most expensive – pike perch fillet is 8100 forints (25 euros) per kilo. Catfish – 6,850 forints (about 21 euros), carp – 3,950 forints (about 12 euros), hake – 3,800 forints (about 11 euros). Address: Aszófő, 71. sz. főút mellett. Coordinates: 46.922849, 17.845633. Innovative Hungarian cuisine: traditional dishes presented in a new way. For example, in Baricska Csárda wild boar will be served with truffles and fennel, and wild duck – under a strange sauce. Prices: main course – 3000–5000 forints (about 5–10 euros). 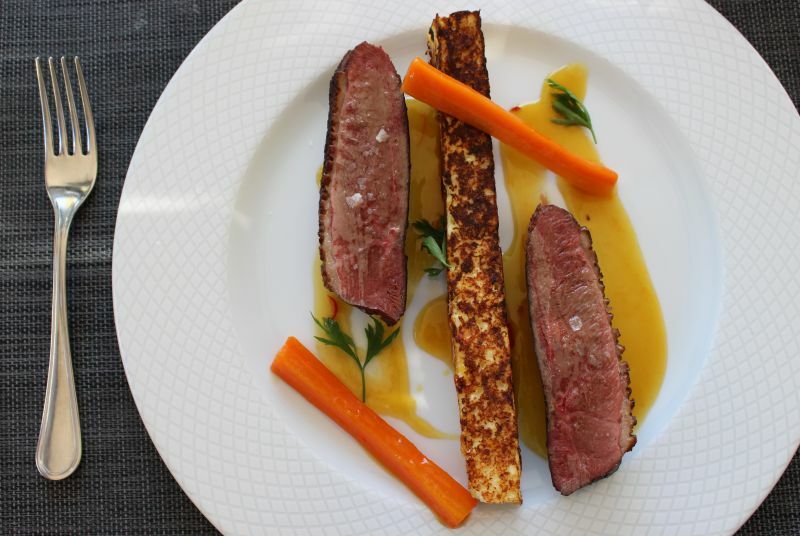 The most expensive dish is made from wild deer, 5500 forints (about 17 euros). Catfish with traditional dumplings – 3,700 forints (about 11 euros). Address: Balatonfüred, Baricska dűlő. Coordinates: 46.951827, 17.881090. 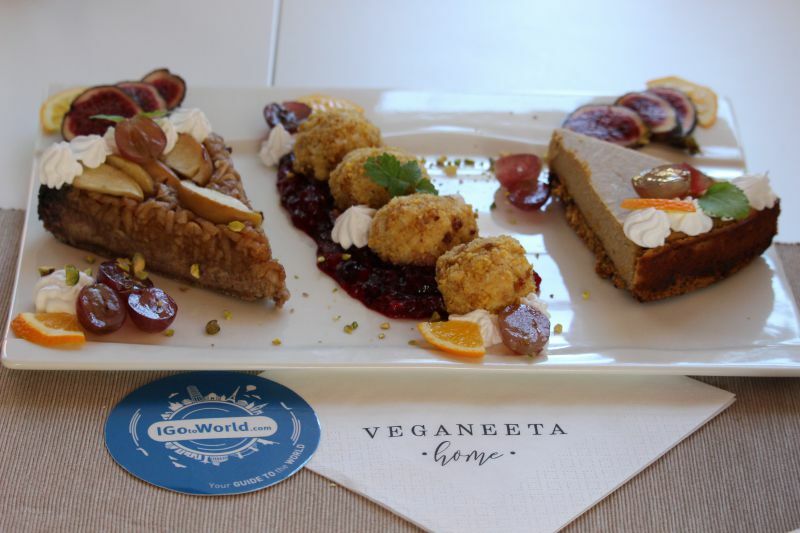 Frankly, we visited only one vegan café at Balaton. It was recommended to us by our Hungarian friends. If you want to know about it, read futher. Going to a vegan café Veganeeta, we joked that we should take sausages with us in order not to stay hungry. But when we have tried the dishes, we were amazed: how can you cook vegetables and make them tasty, without using butter, milk and even eggs! The owner of the place welcomes guests and helps in the kitchen. Anita is a popular blogger. I came to veganism after a serious illness. She says that after 4 months a miracle happened: the disease receded. She abandoned her successful career as a lawyer and opened her own restaurant. You have no idea how bright and cozy it is. There is elegance in every detail! We tried many dishes and all were delicious: tartar, stewed zucchini with curry and chickpeas, and much more. The desserts are especially tasty: they make the most realistic whip cream from the almond and coconut milk, you cannot tell the difference from the usual! Prices: main dish – about 3000 forints (about 10 euros), dessert – a little more than 1000 forints (about 3 euros). Incredibly delicious lemonade with berries – 750 forints (about 2 euros). Address: Balatonalmádi, Baross Gábor út 2. Coordinates: 47.028869, 18.013686. Imagine the scale of the love of Hungarians for wine, if they have a whole "wine hill"! In fact, this is one cheerful little street on a small hill in Hévíz, which comes to life in the evening. This is Wine Egregy Hill. During the day it is quiet and silent, nothing is open. But as soon as twilight comes, numerous pubs open their doors. You will not be able to dry up: a lot of wine farms and good homemade wine, and, of course, traditional Hungarian cuisine. Address: Hévíz, Egregy, temető. Coordinates: 46.807982, 17.190970. 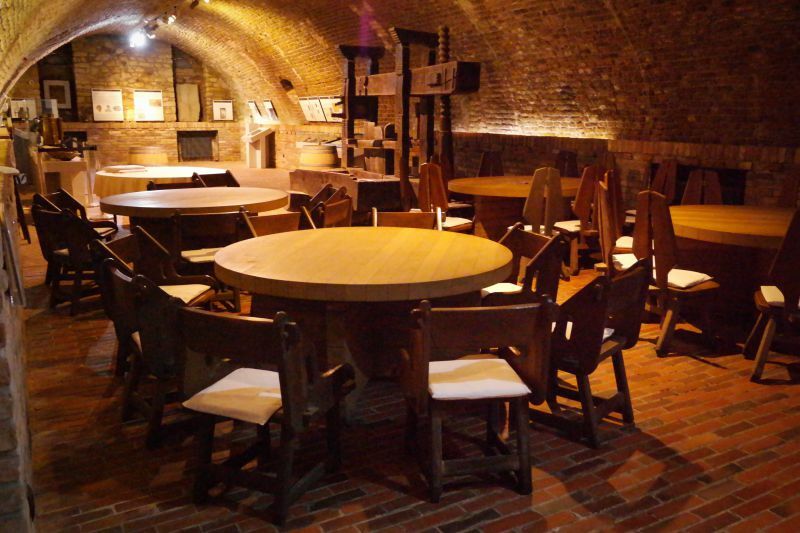 There is a luxurious wine restaurant with old cellars in the famous Festetics Palace, where the noble drink is kept. You should book a table in advance. Price: main dish – 2000–3000 forints (about 6–9 euros). 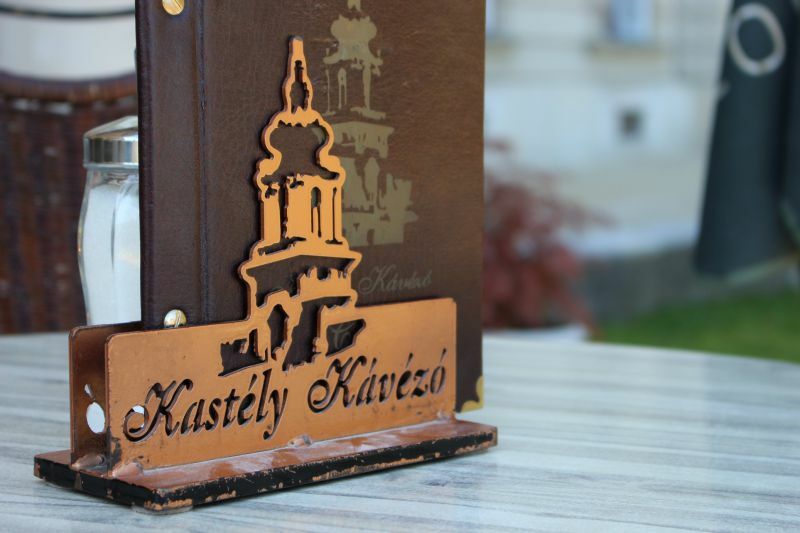 Address: Keszthely, Kastély u. 1. Coordinates: 46.770785, 17.241662. The luxurious wineries of a noble Festetics family were situated right here. Now it is a fashionable gourmet restaurant where wine tastings take place. The historic basement was reconstructed: now it is the territory of a thematic exhibition. 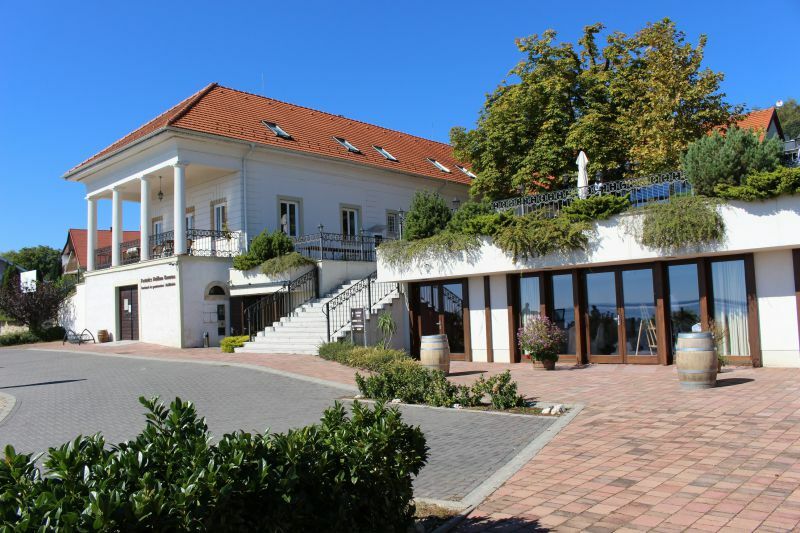 You can read a little more about this place and the restaurant Bock Bisztró Balaton above in the text. 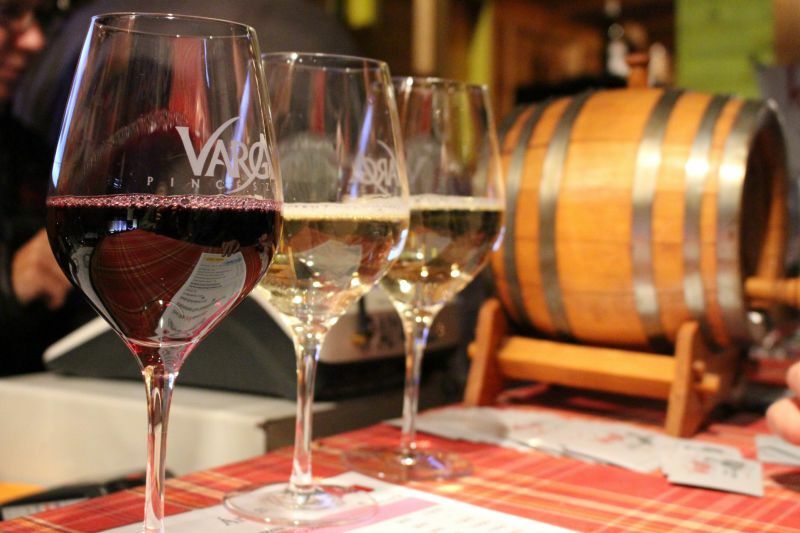 Prices: a bottle of wine – from 1,800 forints (about 5.5 euros), the most expensive – over 21,000 forints (about 65 euros). Address: Vonyarcvashegy, Helikon st.22. Coordinates: 46.767724, 17.308156. The elegant restaurant is located right in the wine cellars, but you can also sit on the outdoor terrace. The menu is small, but the dishes are always seasonal. For example, they recommend asparagus green cream soup. Prices: main course – 4000–5000 forints (about 12–15 euros). Venison – 4390 forints (about 13 euros), duck breast – 3890 forints (about 12 euros). Wine – 3500-5000 forints (about 12 euros) per bottle. Address: Balatonfüred, Gyógy tér 3. And do not forget about wine festivals! Numerous cafés and shops sell wine for bottling, so there is the possibility to arrange quite inexpensive tasting of the local wines. We did just that at the Tapolca Fish Festival. 100 ml – 300–400 forint (about 1–1.5 euros), a very pleasant wine. Yes, and you can drink from glasses and you can walk wherever you want, after leaving a symbolic deposit on the bar. If you know an excellent place, which you simply cannot pass by without glancing at a cup of coffee, a glass of wine or without tasting the Hungarian cuisine? Please share them in the comments! 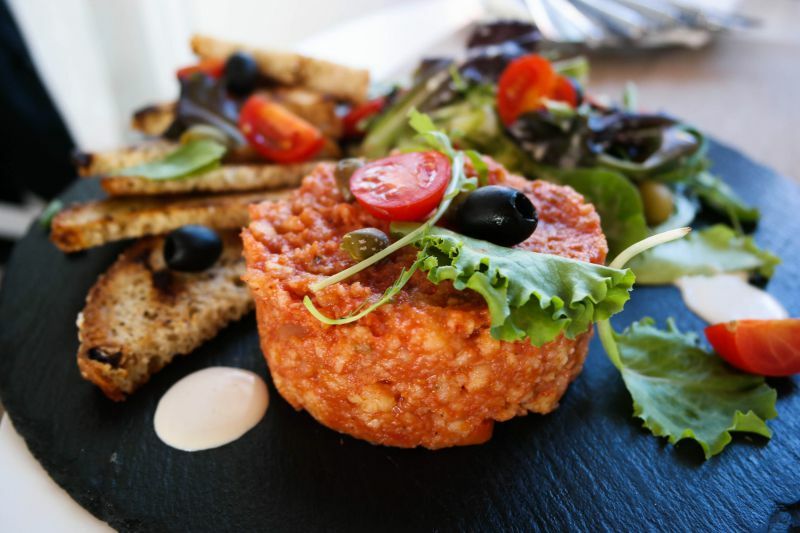 After all, there are many more restaurants and cafes of Balaton, than are mentioned in this list! Photos in the article by: IGotoWorld Photo Group.